Twoflower was a tourist, the first ever seen on the Discworld. Tourist, Rincewind decided, meant idiot. Somewhere on the frontier between thought and reality exists the Discworld, a parallel time and place which might sound and smell very much like our own, but which looks completely different. It plays by different rules. Certainly it refuses to succumb to the quaint notion that universes are ruled by pure logic and the harmony of numbers. 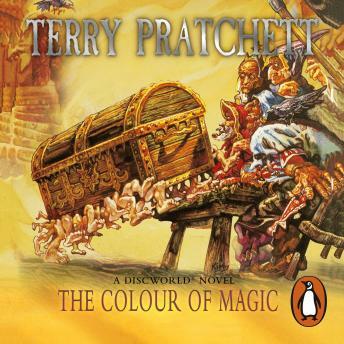 The Colour of Magic is the first novel in Terry Pratchett's acclaimed Discworld series, of which some 20 million copies have been sold. This special hardcover edition is reissued to commemorate the twenty-first anniversary of its first publication by Colin Smythe Limited in 1983. Since then the Discworld has spawned a further thirty-one titles and become one of the most popular and celebrated sequences in English literature.